We have had some fantastic trays and this is up there with the best of them. 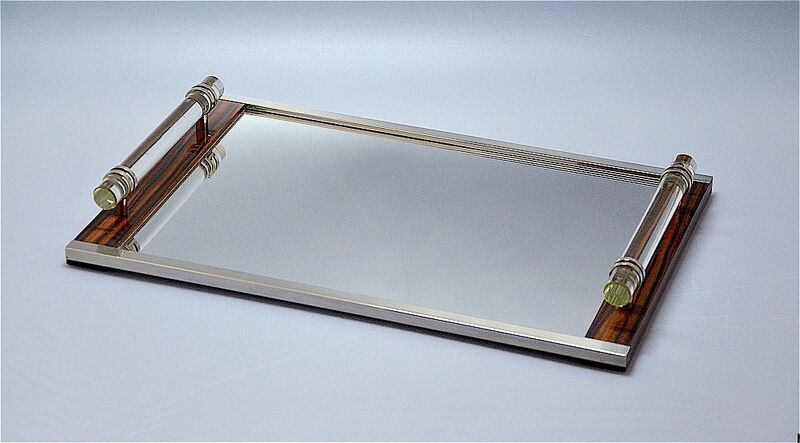 The rectangular mirrored base is edged by chrome on the two long sides and by macassar ebony on the two short sides. Rising from the macassar ebony are two cylindrical glass handles in chrome holders.